Potato Cabbage Colcannon-Instant Pot Ready in 30 minutes, vegan, gf, df. 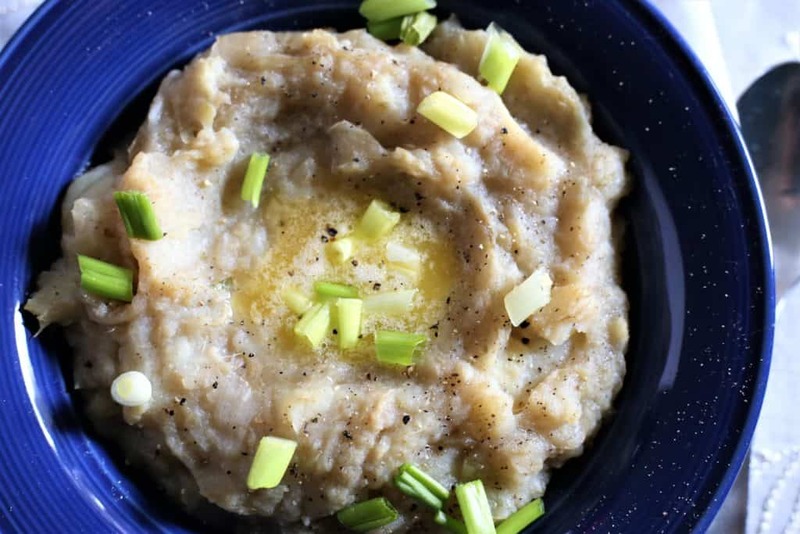 Potato Cabbage Colcannon-Instant Pot. My grandparents arrived at Ellis Island from Ireland in the 1920’s, with the dream of making a better life in America. They settled in Chicago, and eventually, the extended family joined them. I have many fond memories of the brownstone on Greenwood Avenue that they owned, where the family gathered for food and good times. 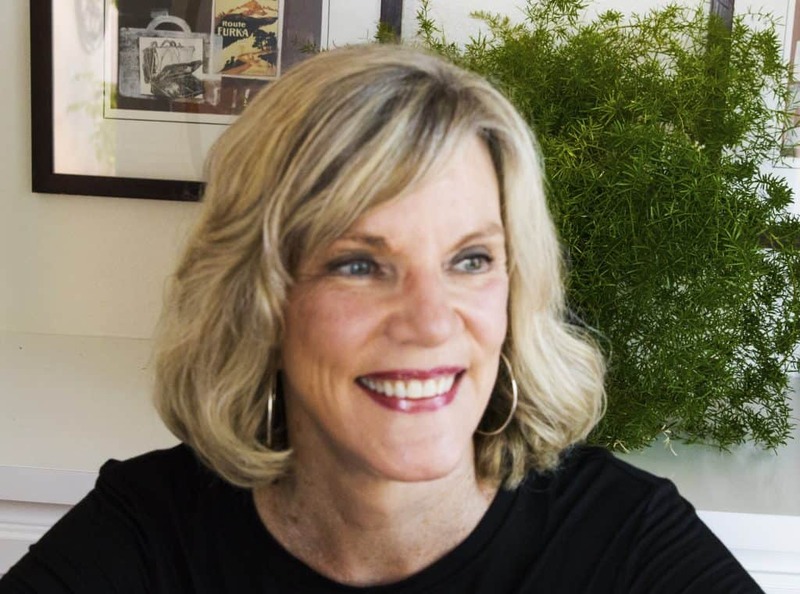 When I recall the food we enjoyed, some dishes stand out in my mind, and the potato cabbage dish called Colcannon, was often a staple on the table. 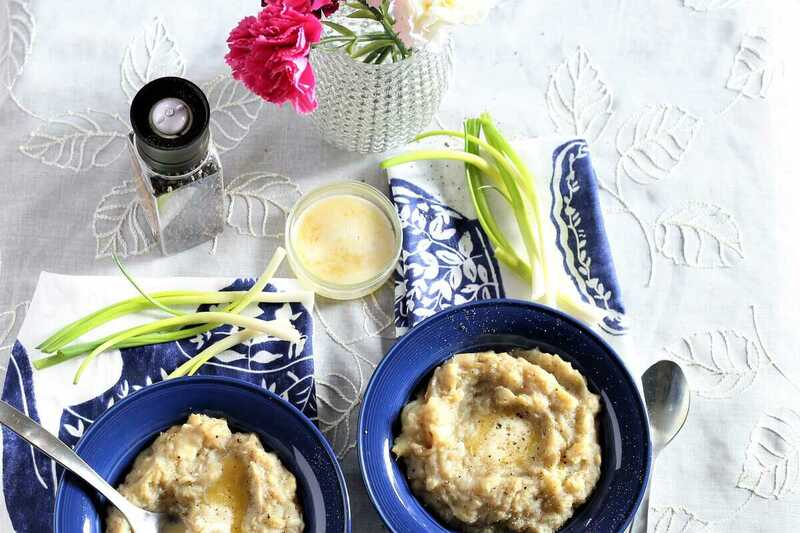 This simple dish, made in the Instant Pot is ready in less than 30 minutes, and is a comfort food any time of year, whether your roots are Irish or not. Vegan, gluten free, dairy free. 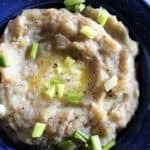 Potato Cabbage Colcannon-Instant Pot. Traditional Irish favorite, warm comfort food. 1 cup water if using Instant Pot. If not, fill Soup Pot with water to cook vegetables. Place all ingredients in Instant Pot and set to high pressure for 8 minutes. Release steam by using quick release. When pot is cool, drain any water that remains, and blend potatoes, onions and cabbage with small hand blender, leaving some large pieces. Do not over-blend unless you want mashed potatoes and cabbage. 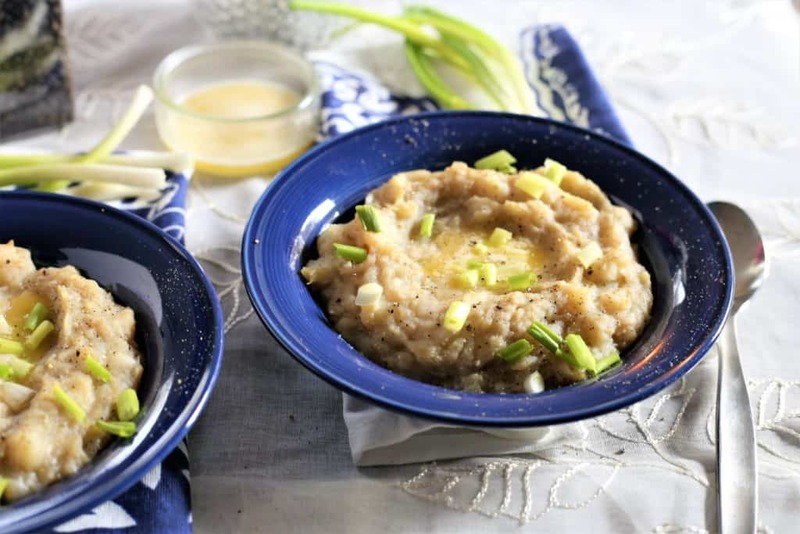 Serve in bowls and top with vegan butter and sliced green onions. If you are not cooking with an Instant Pot, place all ingredients in a large soup pot and fill with water. Bring to a boil, then reduce to medium heat and cook until potatoes are done, approximately 20-30 minutes. Drain vegetables in strainer and return to the pot. 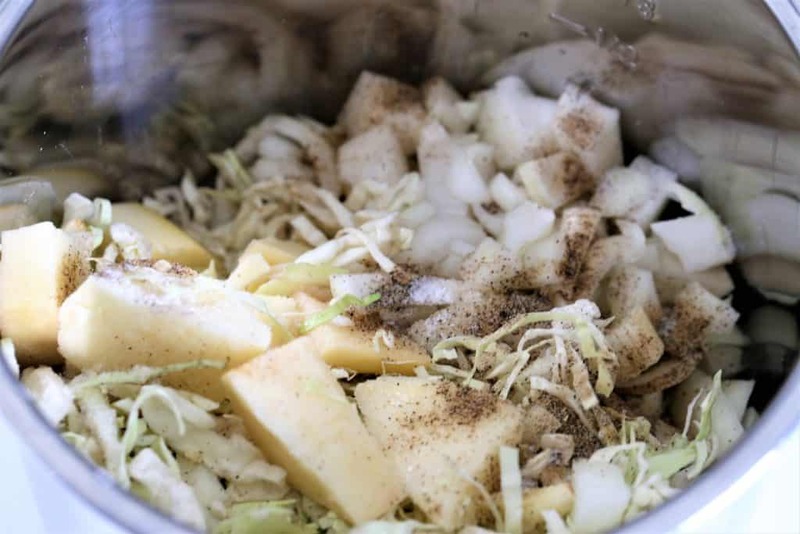 Blend potatoes, onions and cabbage with small hand blender, leaving some large pieces. Do not over-blend unless you want mashed potatoes and cabbage. Add all ingredients to Instant Pot. Pressure cook for 8 minutes and release pressure carefully. 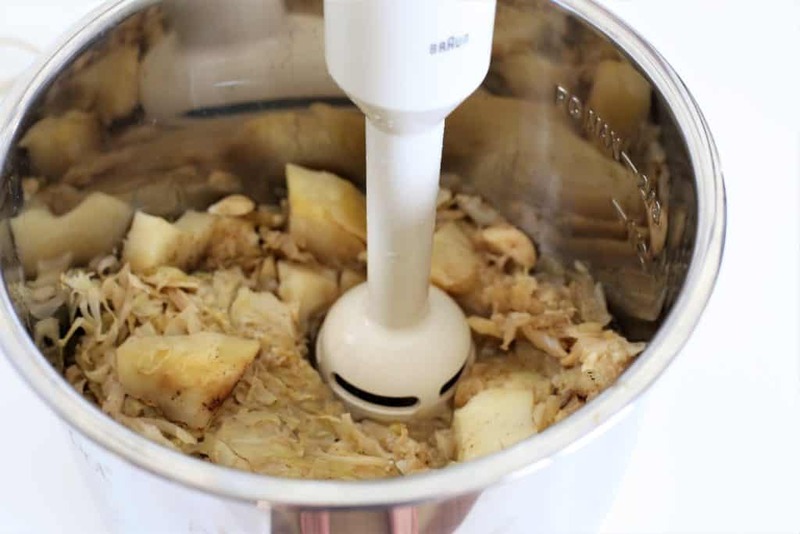 Blend with small hand blender until potatoes and cabbage are mashed. For more photos see Foodgawker Gallery.